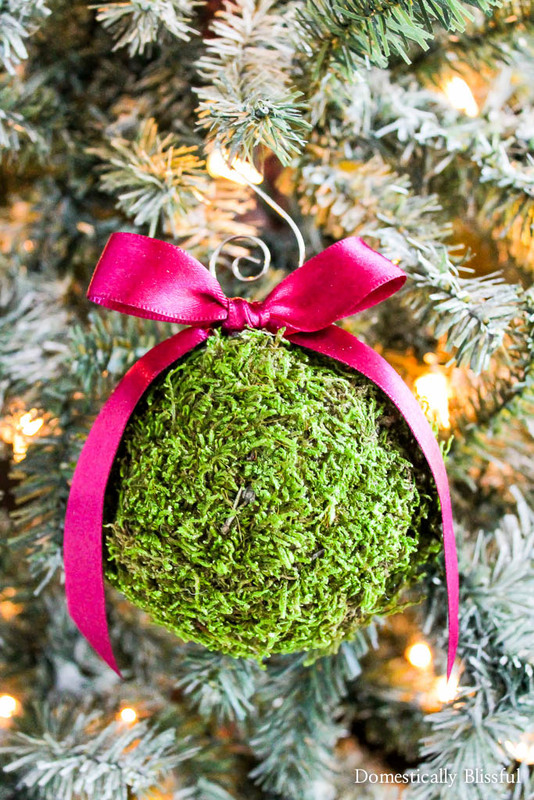 Create one-of-a-kind shatterproof Moss Christmas Ornaments for your Christmas tree this holiday season with this quick & simple tutorial! 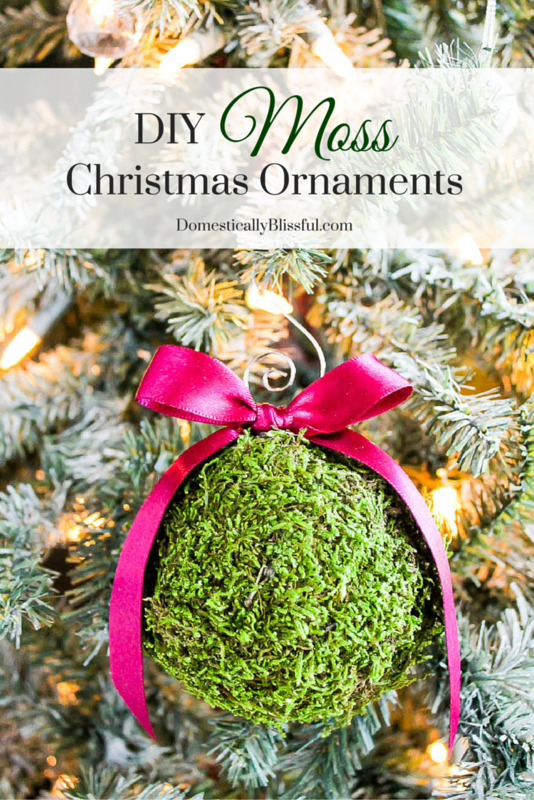 You know how I have all of those plastic balls sitting in my craft room that I am trying to use up this Christmas? 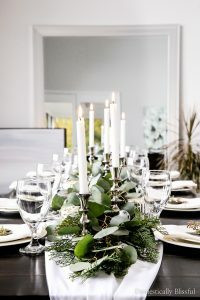 Well, I came up with a new way to use them & to use up some of the moss that I had laying around after Katie’s wedding too! But I have already used it twice now so I think this counts as a good buy! 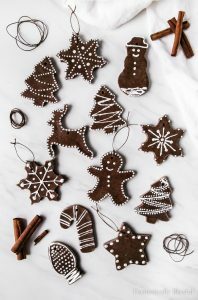 Isn’t this such a great Christmas craft? It’s so easy (basically just glueing moss to a plastic ball), it takes very little time (5 minutes or less), & it is really inexpensive to create too! These are the same plastic balls that I have had for the last several years that I bought at 100 for $10 from Walmart. When I first bought them I thought it was a great deal (which it is), but I can’t seem to use them up! I thought I only had about 20 left, but when I was going through our guest bedroom/storage room I discovered even more. It’s like they are multiplying! Anyways, I keep using it as an excuse to craft & create more Christmas ornaments. 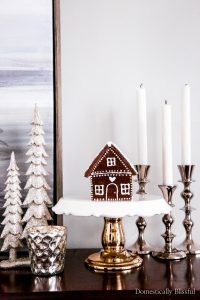 So I get new ornaments for our Christmas tree & I also get to share with you lots of new mini Christmas tutorials. 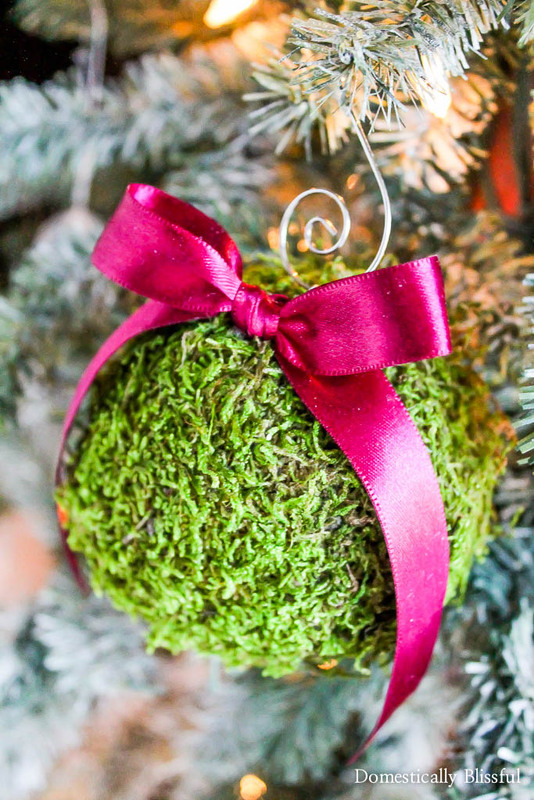 Like this Moss Christmas Ornament! 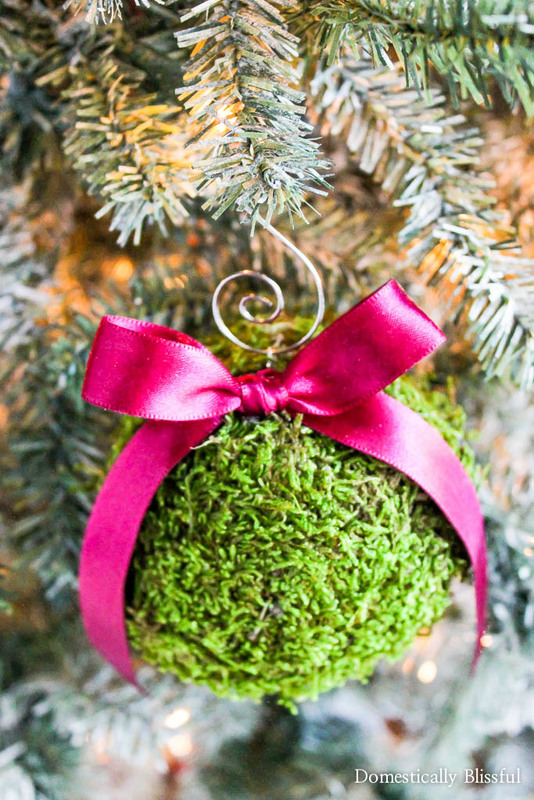 I am in love with the color combination of the the ribbon & the bright green moss, it feels so Christmasy! Unfortunately I don’t have enough moss to make more of these, so I might have to come up with another way to use the little bit of moss I have left in my Christmas decor. Any suggestions? 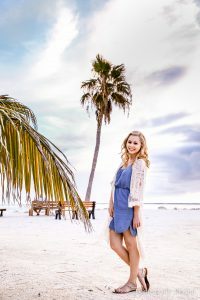 I’d love some new ideas! 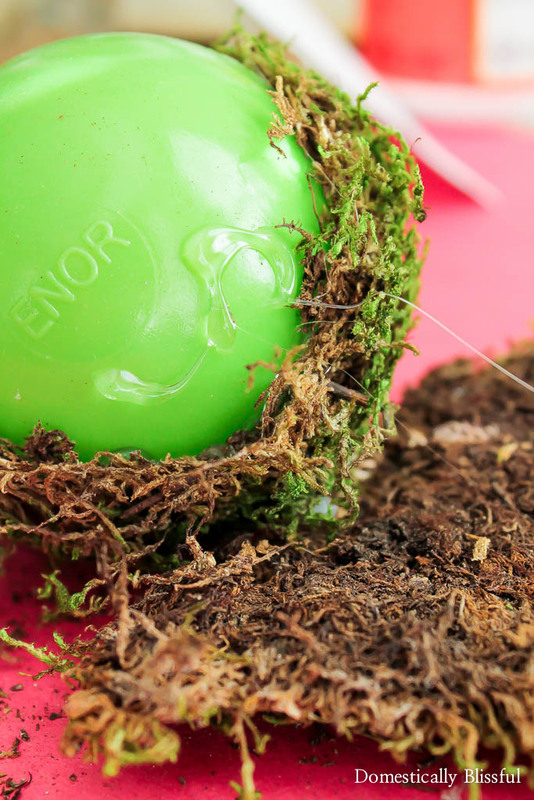 First, hot glue the moss to the plastic ball. I chose a green ball so that if there were any holes through the moss it wouldn’t look funny. 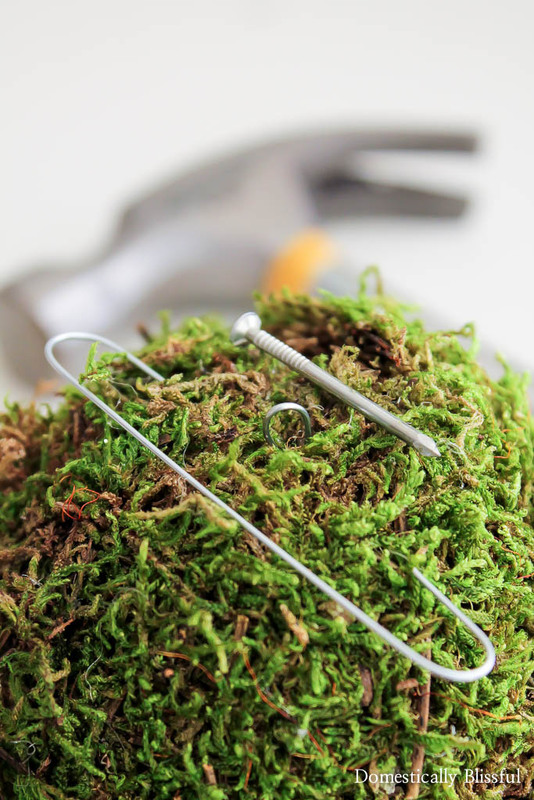 Once all of the moss was glued down I picked the prettiest side, poked a hole into the top (with the hammer & nail), & hot glued a cheap christmas ornament hook (that I cut with a micro-shear flush cutter just like I did for my Sparkling Glitter Ornaments) into the hole . I then created a bow with the ribbon, hot glued it on top, added a decorative ornament hook, & hung it on our Christmas tree! 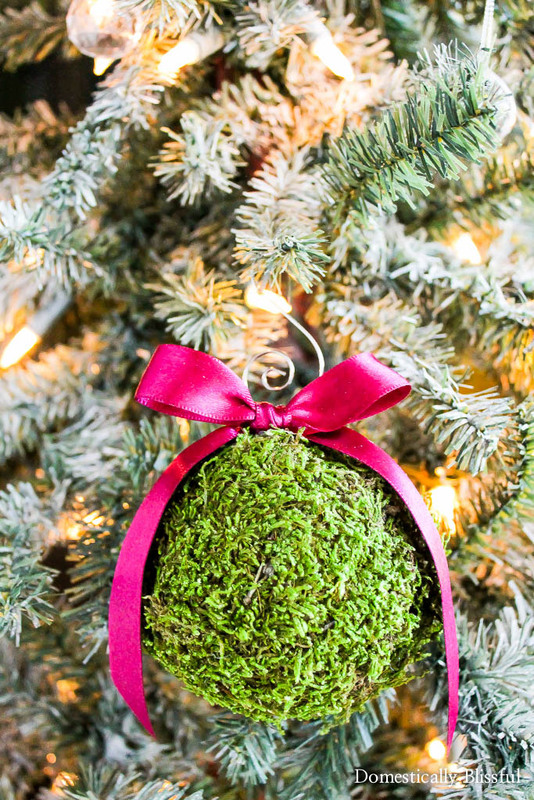 I’d love to see your Moss Christmas Ornament!